Growing Talent Development Firms: Grow or Die? One of the conclusions I have drawn from my more than 40 years in the talent development supplier industry is that few firms have a handle on how to consistently develop market-viable products or programs. What, then, would such a strategy look like? In last month’s blog I addressed product strategy from a marketing lens. But, what are the elements of an effective learning and development product or program? Any of these approaches to creating effectively sustainable solutions in the talent development world will work. Previously, I wrote a blog on exit strategies. Based on recent observations, readings, and discussions with people in the industry, I have developed a summary of what has taken place, and what guidelines can be drawn from all this activity. This is certainly the case for the talent development industry, as it is for almost all others. It is a high-level proposal for getting an entity off the ground, including its business and marketing strategy and start-up and implementation plans. As ATD prepares to publish my new book, The Complete Guide to Building and Growing a Talent Development Firm , I thought a good final blog post, at least for now, should focus on the alternative to growth. The approach you’ve chosen for your training program is crucial in the success of the L&D strategy, which is vital for a company’s growth and important to executives, as the efficiency of training affects productivity. Keep science in mind when designing L&D strategy. As I was recently reviewing nearly two plus years of these blog articles, it dawned on me that while the title of the series is “growing talent development firms,” I’ve neglected to focus any one article on just how one goes about growing a talent development firm. In this article, we’ll explain how companies survived then and how you can solve employability issues with in-house talent development now. How talent-centric management and training stood against the Great Recession . Learning as a data-driven tool to fight the talent shortage. In the talent development industry, I see three major drivers that have the potential to be disrupted: the content presented, the delivery by which it is presented, and the instruction used to deliver it. Disruption in the Talent Development Industry. According to a recent Aberdeen Group report , four out of five businesses say they are facing a critical shortage of talent. And with the dizzying array of new technologies emerging every day, how would you actually define, say, a big data developer? 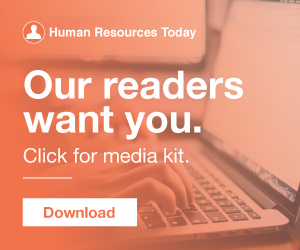 More than two-thirds of HR professionals are struggling to recruit candidates for full-time positions, SHRM’s 2016 report “The New Talent Landscape” found. One clear takeaway: retaining employees is critical for meeting your talent needs. Talent development, however, is an exception. 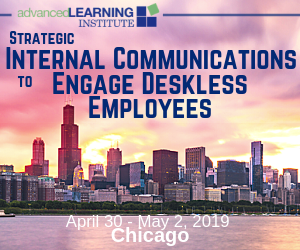 Increasing engagement, in turn, leads to a much higher participation in learning and development activities that every business craves in order to stay competitive and innovative. Rallyware Blog engagement gamification machine learning talent trainingBusiness is like a game. Consider linking assessment criteria to strategy so employees understand how their performance affects the business from a strategic standpoint. Data powered by AI will empower talent development and training. Take as examples, data architects, UX designers or IOS developers. To stay competitive, companies will have to develop a new level of personalized training. In Brown’s opinion, by tapping into the range of tools and data science, companies will get an infinitely more objective approach to employee development that will remove personal bias. What changes are expected in talent retention strategies. How to track skill development. There’s no denying that soft skills will always be vital for the workplace, since working alongside machines requires the development of people skills at a high level. How to track skill development. A solid talent development strategy is the hallmark of high-impact, high-performance organizations, but crafting a useful strategy is easier said than done. Based on research and the guidance of leading L&D practitioners, i4cp has created a practical, step-by-step Talent Development Strategy Playbook to address these challenges. How should Diversity and Talent Development functions together? Given i4cp’s recent release of its Talent Development Strategy Playbook and my role as chair of i4cp’s Chief Diversity Officer Board , I’ve been tasked with answering this question. With that definition firmly in mind, I see three areas where the office of Diversity and Inclusion can partner-with Talent Development to add value to the organization: 1. The links between an organization’s talent development efforts and the process for succession planning are pretty clear. The talent development function provides the developmental programs that take potential successors from “ready in X year(s)” to “ready now.” But there’s another deeper and more strategic link between talent development and succession—it’s not about supporting the succession planning process; it is about enabling succession. But what if your performance management strategy considered what happens even before an employee’s first day of work? A proactive management strategy. Don’t ignore the employee development phase. When does the “ performance management ” of a new hire begin? Consider this scenario: You’re an experienced, talented, very stretched human resources leader. And on this day, my word of advice is to shift your focus to talent development. When you think about it, there is nothing more important in your sphere of accountability than leading your organization to a place where it is intentionally and deliberately managing the flow of internal and external talent resources. Talent is your passion. Employees who receive effective training and development are more engaged and equipped to perform at their best. Read More» The post Employee Coaching: The Missing Factor from Your Talent Strategy [Infographic] appeared first on Switch & Shift. The adage "failing to plan is planning to fail" is a timeless observation that serves as a useful reminder to talent and learning and development (L&D) leaders. 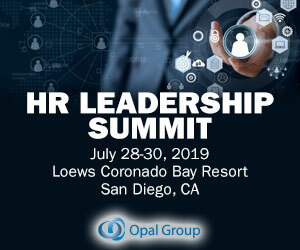 We all aspire to go beyond the reactive, "order-taker" training status still too common in organizations and while a solid talent development strategy is the hallmark of high-impact, high-performance organizations, crafting a useful strategy is easier said than done.